Nearly 40 percent of British Jews would “seriously consider emigrating” if Labour Party leader Jeremy Corbyn became prime minister, according to a poll published by The Jewish Chronicle on Wednesday. 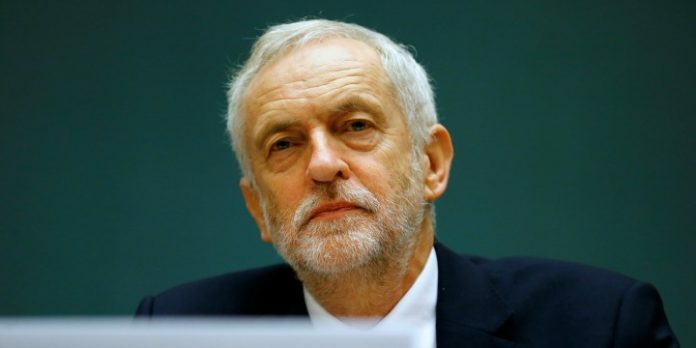 Labour has been roiled by a series of antisemitism scandals since the far-left Corbyn took control of the party in 2015. “As someone who has always been a proud British Jew, it saddens me that almost 40% of our community would consider emigrating if Jeremy Corbyn became prime minister. This is deeply worrying. “Our community is open, confident and proud of our traditions, while at the same time also being proud how we are integrated across society and public life. The current difficulties with the Labour leadership serve as a sharp reminder that our values and our people have often needed defending. “The Jewish Leadership Council and its members will always work to ensure that our community is protected and secure both physically and otherwise. Also on Wednesday, Dave Rich — the head of the Community Security Trust (CST) ––told a parliamentary committee that a recent surge of antisemitic incidents in the UK was linked to the Labour situation. “Over the last two years we have seen a much closer correlation between events in the Labour Party and our antisemitic incidents statistics than any other single factor,” he said, according to a Daily Mail report.